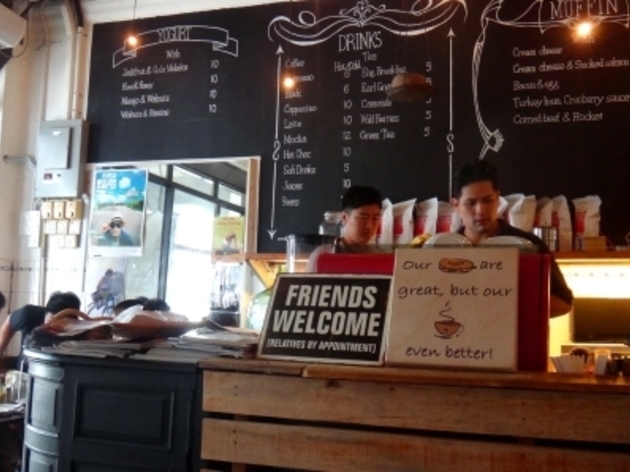 To fuel your body at the start of the food trail, take in the breeze at Fort Cornwallis because we're afraid that's all the time you have to play tourist. 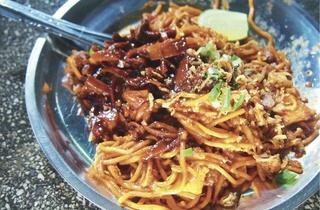 Then it's straight into the Padang Kota Lama food court by the fort for a plate of mee goreng at Hameed 'Pata' Special Mee. If mee goreng sounds standard enough, Hameed's version isn't. 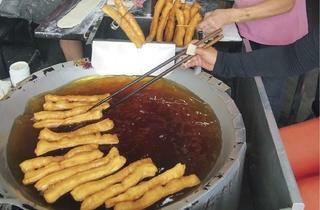 Plated up in fluorescent orange, the noodles are tossed in large woks beneath wispy clouds of steam and finished off with gloops of chilli-braised squid. 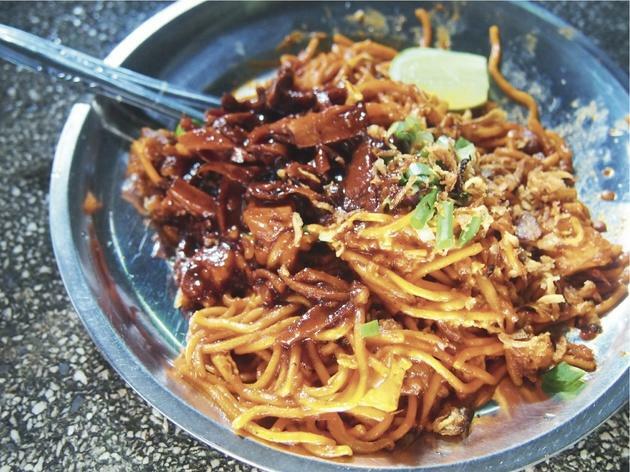 The slapdash presentation might put some off but you'll be hard-pressed to find a plate of mee goreng as wet, slick and scandalously spicy as this. A cold drink on the side is obligatory, and the stall next to Hameed's sells wicked coconut shakes - chilled young coconut water topped with ice cream. 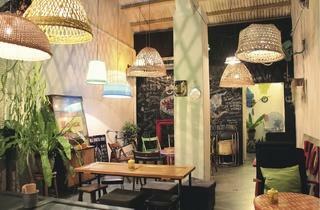 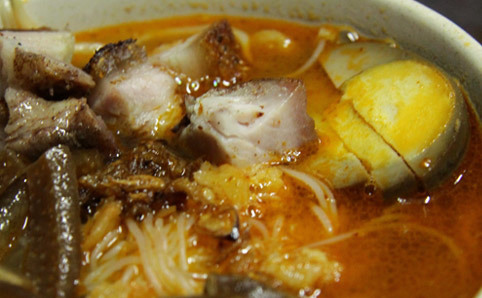 To continue the heat fest, head for hearty assam laksa at Weld Quay. 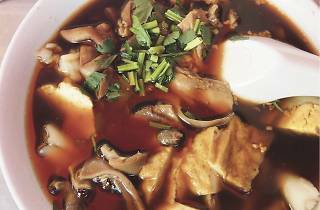 The broth here isn't as spice-packed or thick compared to the more famous stalls in the city, but carries a good balance of sour and sweet as well as a welcoming sprightliness from fresh daun kesum (Vietnamese mint). 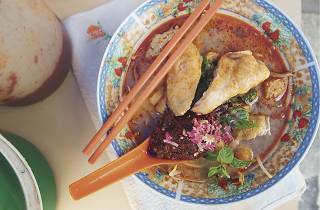 The friendly proprietor inherited the recipe (and stall) from her grandparents and father, and the number of singlet-clad locals sniffling over their bowls is sign that the stall pulls in a fair share of regulars. 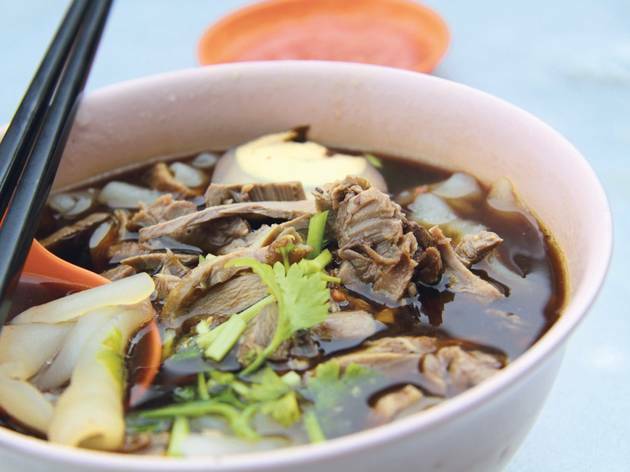 If you want to visit a food strip at dinnertime, skip the more commercialised ones like Gurney Drive or New Lane Hawker Centre and make for Lebuh Kimberley. The stretch buzzes at dinnertime and the most frequented stall is Mr Poh’s duck koay chiap, known for its Penang-specific dish of hand-cut koay swimming in a robust cinnamon and ginger-heavy broth with stewed duck meat, innards and a hard-boiled egg. 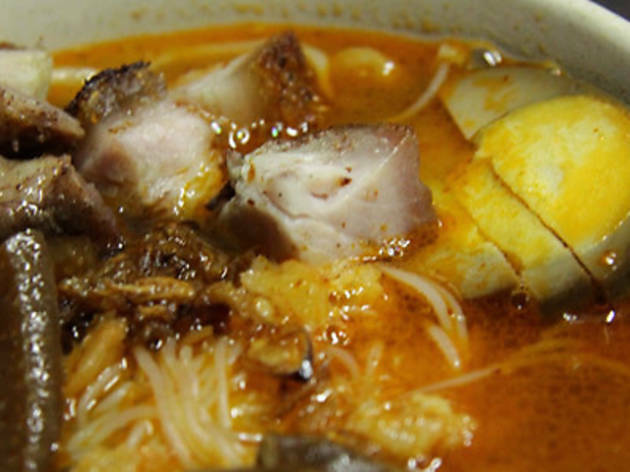 The stuff sells out by 8pm, so go at dusk to secure a bowl. 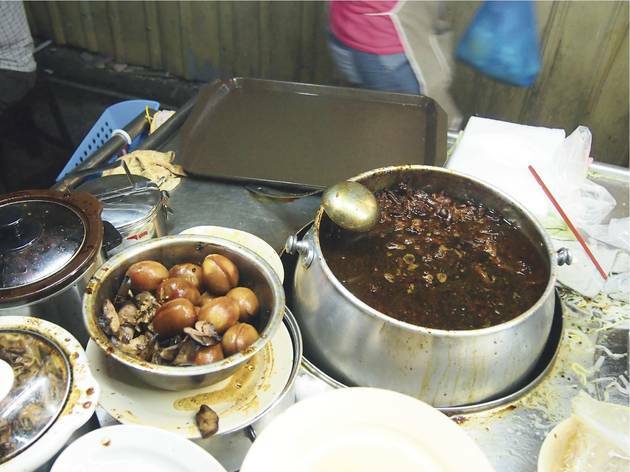 Opposite the stall is Sky Emperor Chicken Feet Kuey Teow Soup, where braised chicken feet are served alongside steaming bowls of soupy kuey teow. 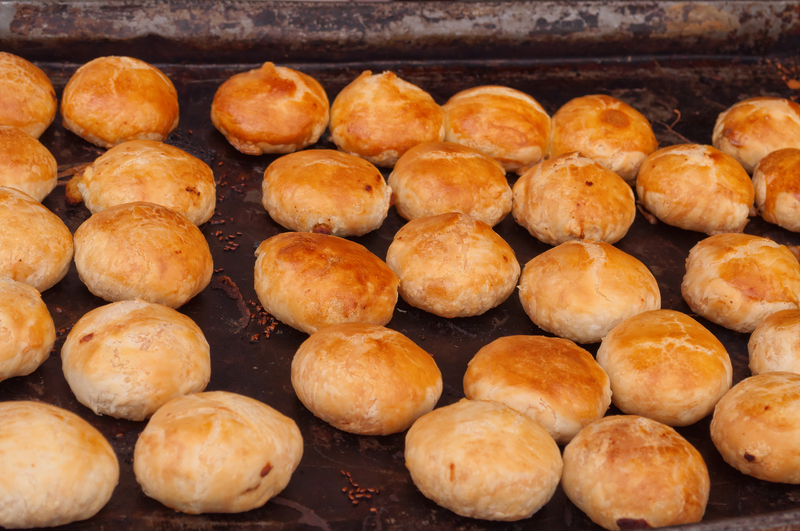 Soft, crunchy, juicy – don’t skip these skinny clawed treats. 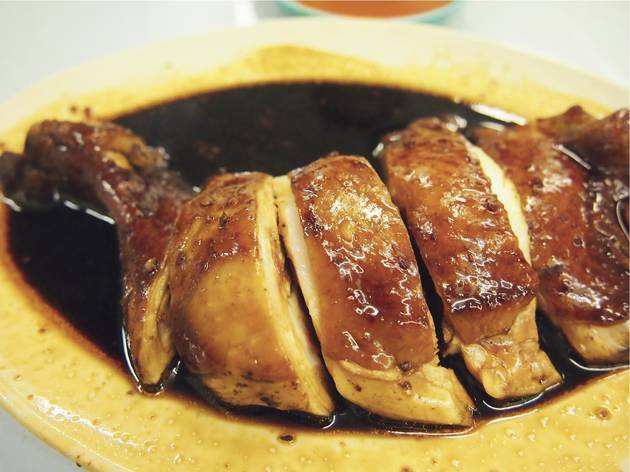 Also a must is the braised chicken in soy sauce; the wafting of soy and star anise is giddily tempting as the stall proprietor ladles the hot liquid onto thick hunks of thigh. 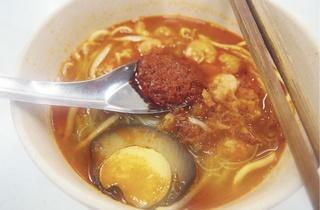 When in Penang, don’t skip midnight supper. 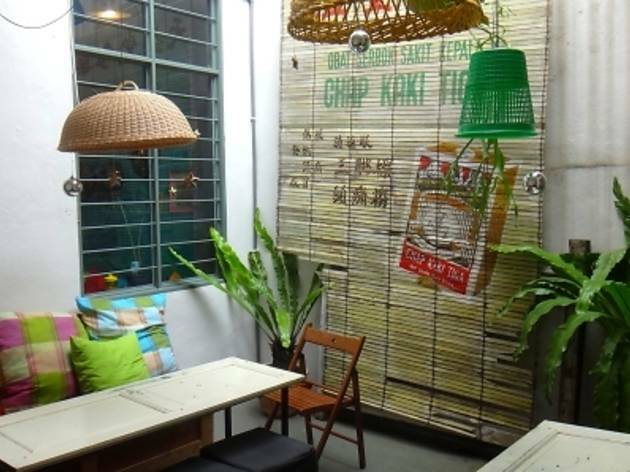 A good bet is Old Green House Restaurant where the Hokkien mee strays from tradition; the proprietor allows customers to choose from extras like pork ribs, braised egg, lap cheong and chicken feet. 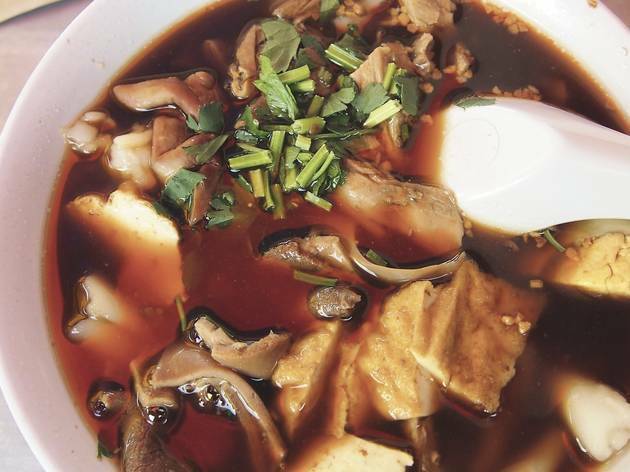 The broth itself is punchy and rich in the dish’s trademark spicy-prawny complexity. 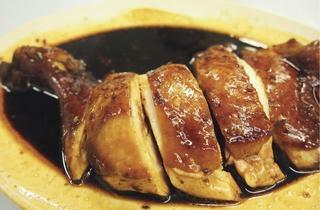 Open till 4am, the shop also sells Hainanese steamed chicken with porridge, seemingly popular among student night owls. 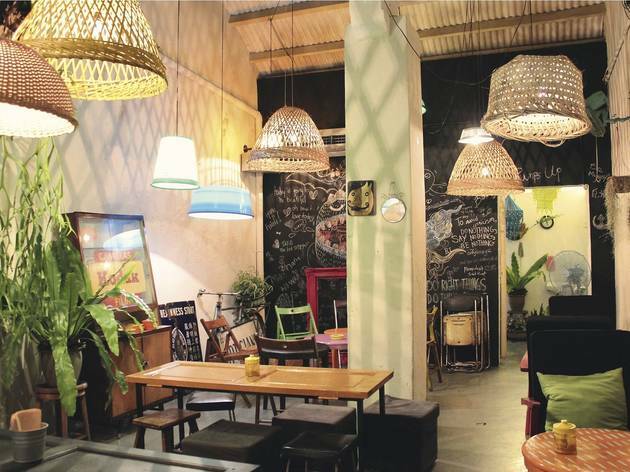 For a more sugary midnight nibble, Nagore Road café Pik Nik serves pancakes till 2am on weekends, and the interior twee is maximised with suspended bulbs in plastic baskets and an uplifting aqua tone. 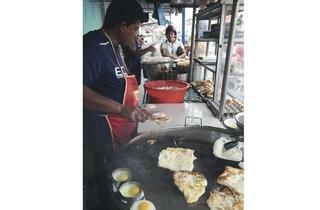 When morning beckons, roti canai is a must. 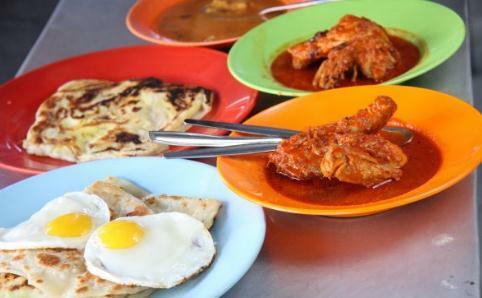 Penang’s version of our national dough is in a league of its own – whether garing or biasa, the Jalan Transfer roti canai masters seem to have it figured out. 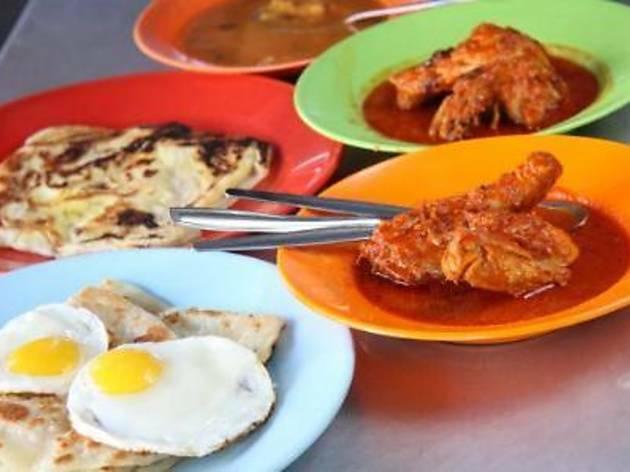 The roti at this decades-old roadside stall is served with chicken curry and a whole chicken leg, a perplexingly simple but tasty combination. 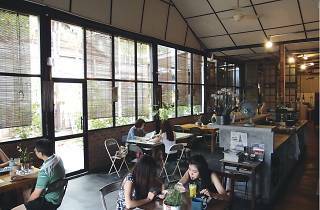 For a healthier alternative, new opening The Mugshot Café has been spawning positive buzz, if only for their smooth homemade yoghurt parfaits and bare, industrial setup. 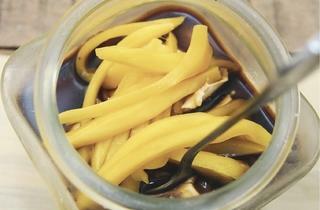 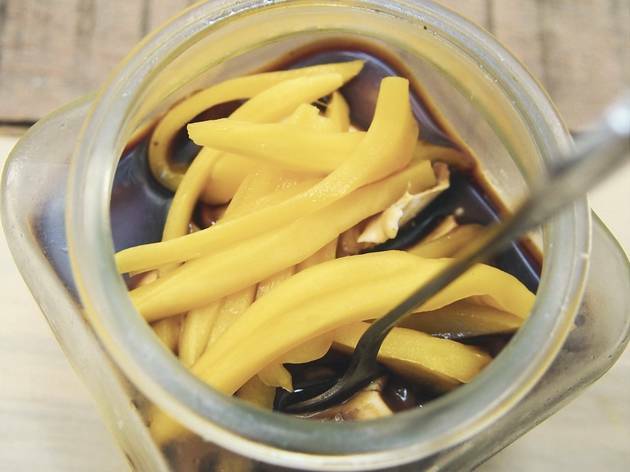 Try the jackfruit and gula Melaka yoghurt; there’s no mucking about, the stuff is darn good. 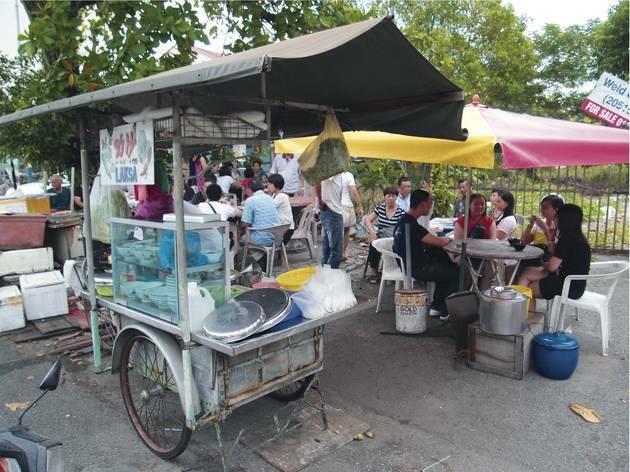 Lebuh Keng Kwee may host Penang’s most visited cendol stall but a few hundred metres down the street is one of the city’s hidden enclaves. 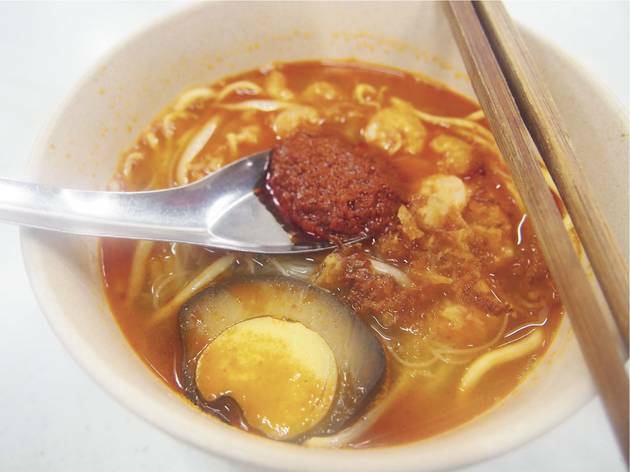 The chicken curry mee stall just outside the proprietor’s non-descript shophouse is a gem, one that doles out not-too-rich curry noodles with an odd accompaniment – bony chicken leg instead of shredded or chunks of meat. 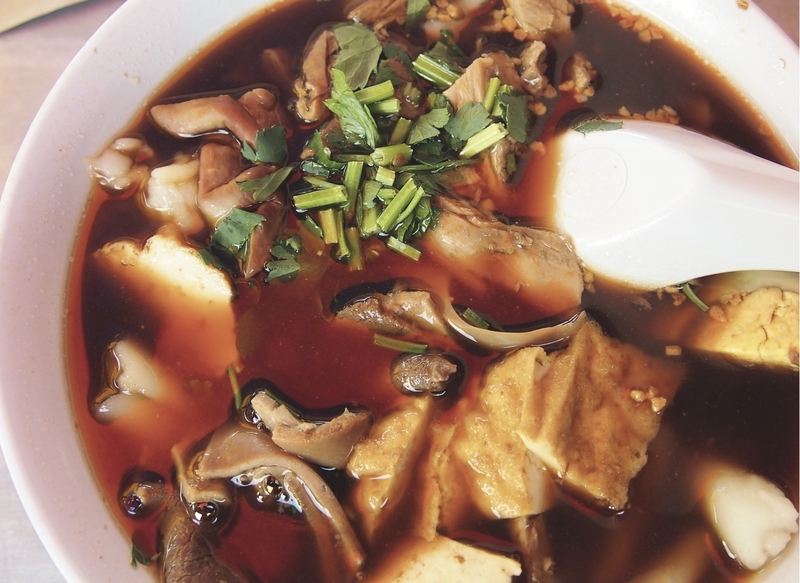 The standard cockles, liver and coagulated pig blood cubes are thrown in along with a pretty Penang-style garnishing of torch ginger flower. 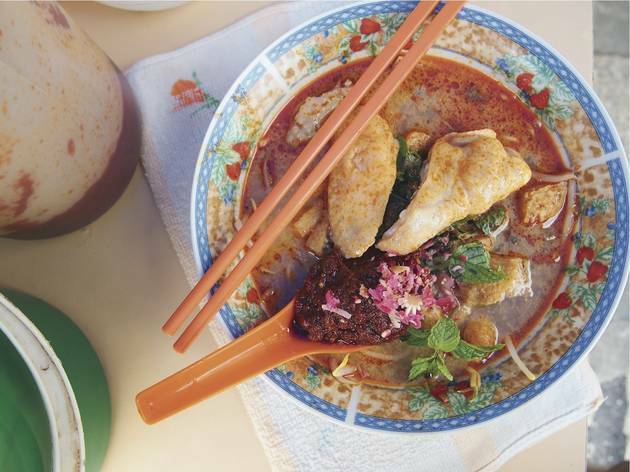 The chatty lady at the stall has been simmering curry for more than ten years at Lebuh Cintra, but recently moved to the incense-heavy shophouse she grew up in, only adding charm to the spot. 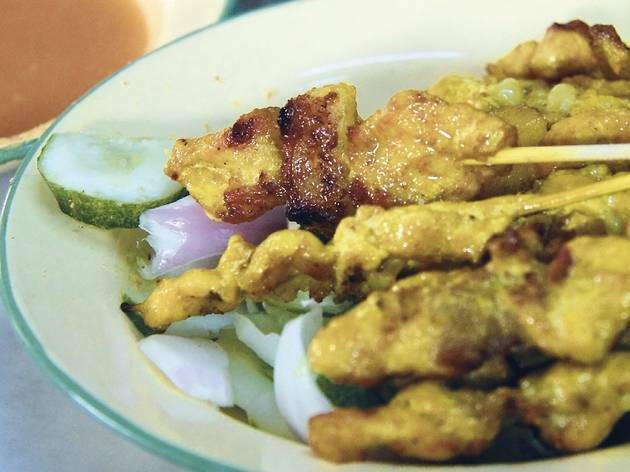 As dinnertime rumbles by, smoky streetfood calls again in the form of Hainanese satay at Lebuh Chulia. The skewered meat is vastly different from the mamak or Malay variety; turmeric and garlic are used to season and colour the meat, fat is deliberately placed between the meat chunks for a melting effecta basting sauce of coconut milk is brushed over the meat, and the sweet potato sauce on the side is a tangy dip. 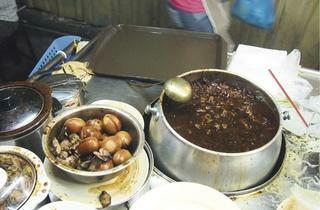 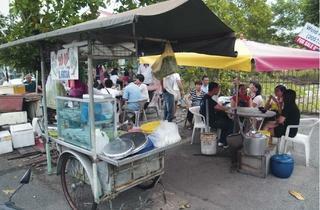 Once the oil and grease settle by morning, start light with claypot apom manis at Lorong Kuching. 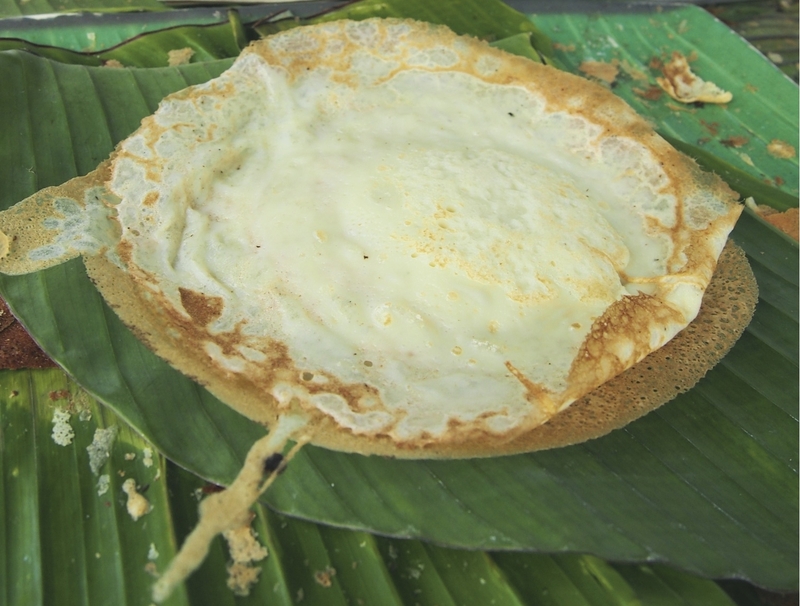 The 18-year-old business sees apom maker Ravindran and his family skillfully swirl batter on claypots to strikingly crispy effect. 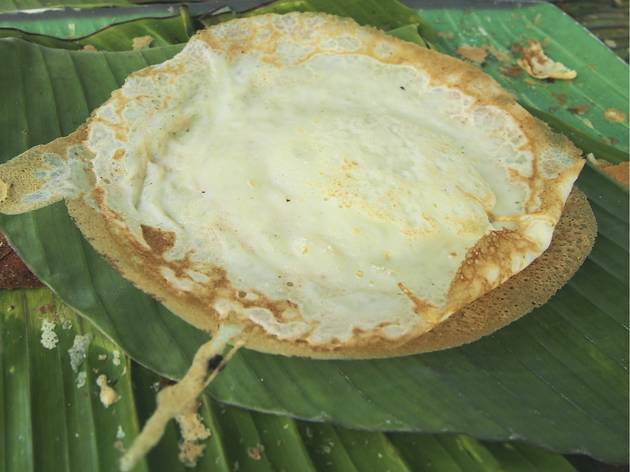 Unlike fluffy, cake-like apom, these paper-thin pancakes are cooked on charcoal with eggs and coconut milk, paradoxically rich ingredients for a treat that’s as light as air. 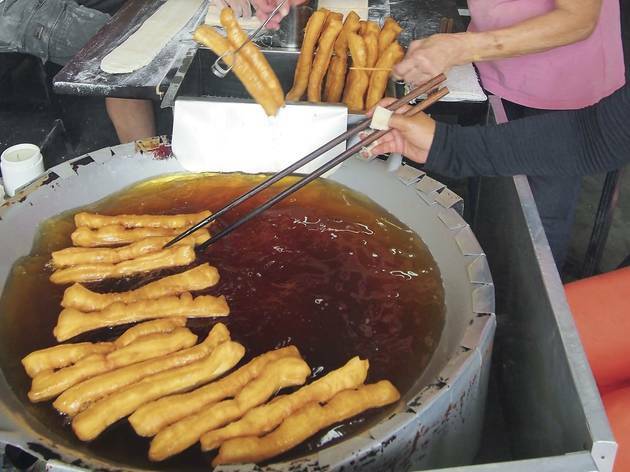 If you’ve been good, don’t stop at one. 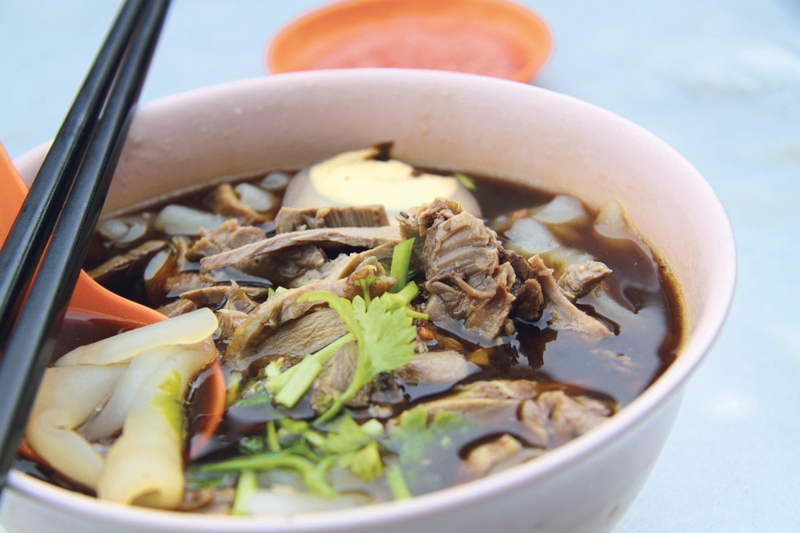 For a more substantial breakfast, New Cathay Coffee Shop behind the stall sells a gentle, fragrant version of duck koay chiap complete with silky smooth koay and offal meat. 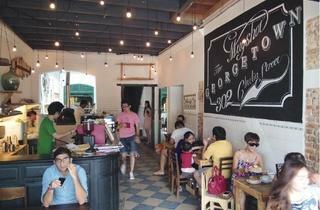 Waiting for a table is expected around the 10am mark. 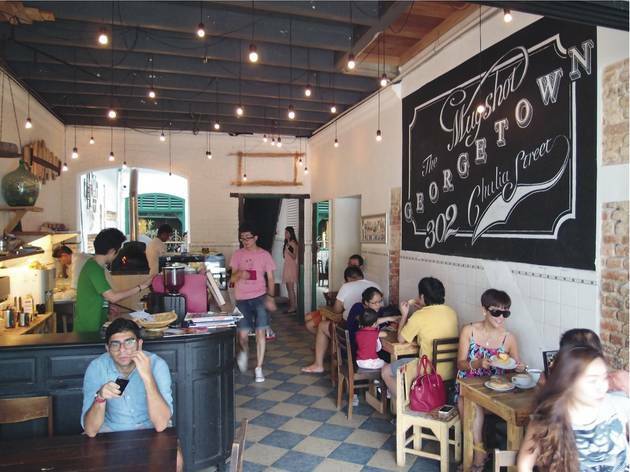 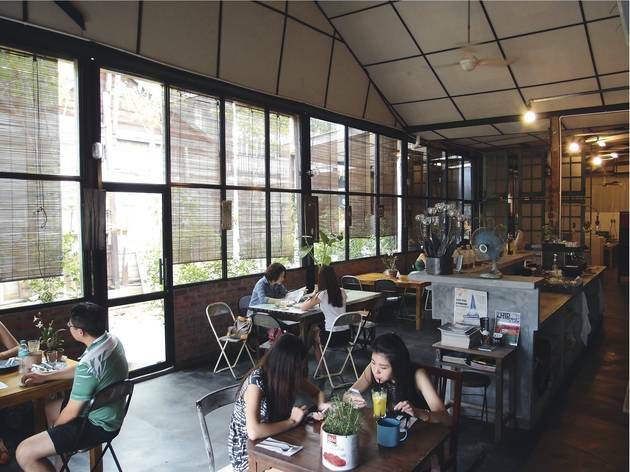 A quick coffee before lunch is best at Cozy in the Rocket, the successor to the now-defunct Penang favourite, Amelie Café. 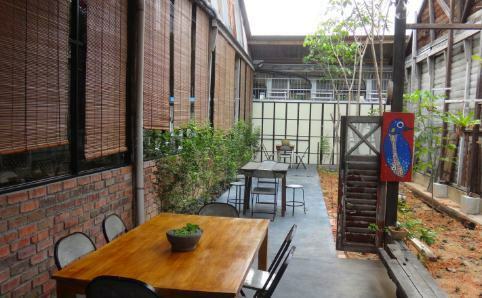 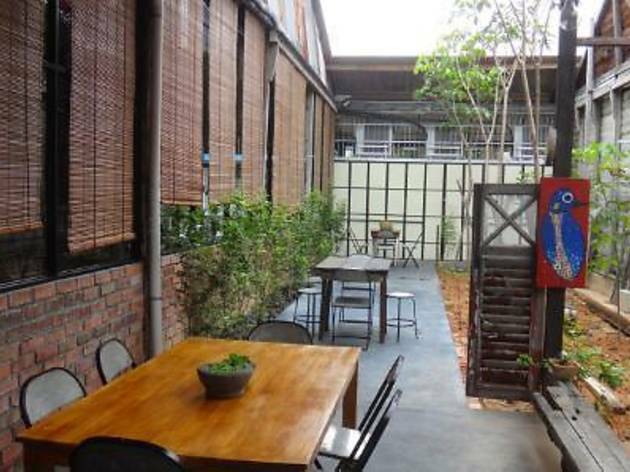 Around the bend from Lebuh Armenian’s (infamous) boy-on-bicycle street art, the café is one of the prettiest in the city with eclectic wood furnishing, a breezy outdoor courtyard and artworks by the owner. 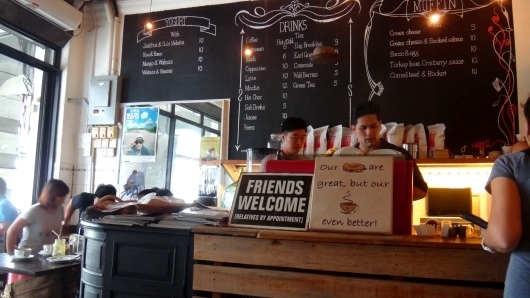 Though service is lukewarm, well-brewed coffee and a luscious cempedak crème brûlée compensate. 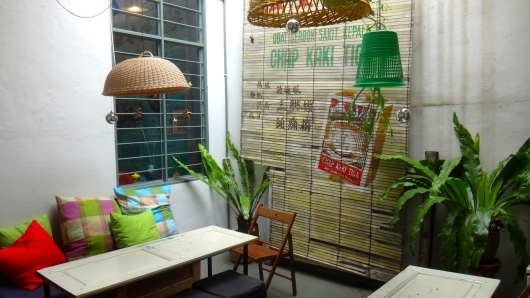 Before you leave the city, stock up on nostalgic teatime goodies like walnut cookies and egg cakes at Leong Chee Kee Biscuits, a rustic hideaway that also specialises in traditional Cantonese wedding biscuits. 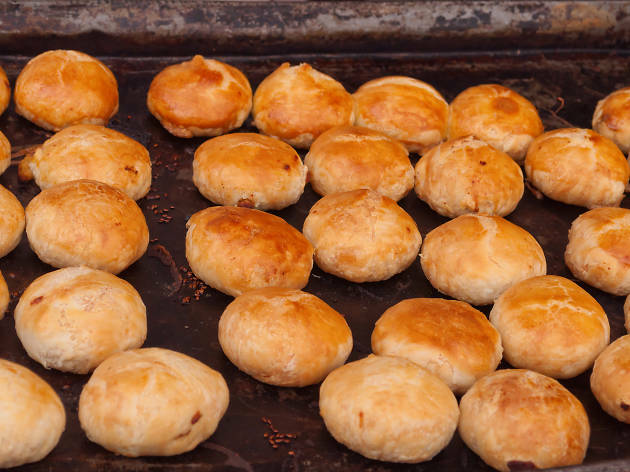 If there’s only one thing you buy from the shop, make it the coconut tarts – sugared, grated coconut stuffed into mini tart shells and baked to crusty precision. 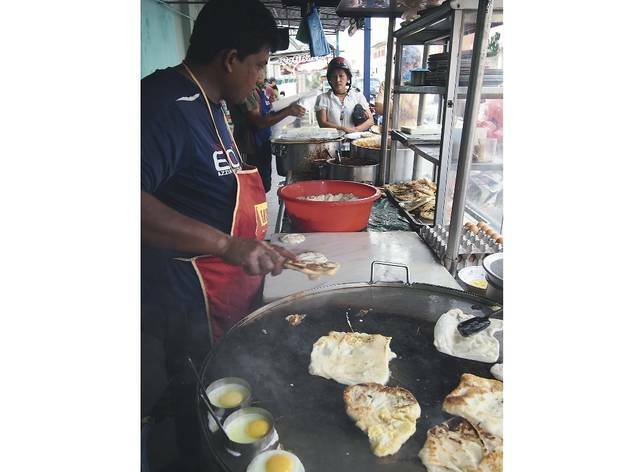 As you walk out onto Lebuh Cintra with boxes of biscuits, note the nameless 30-year-old yau char kuey shop where pipes of dough are lowered into sizzling woks and dried off without even a remote sign of excess oil. 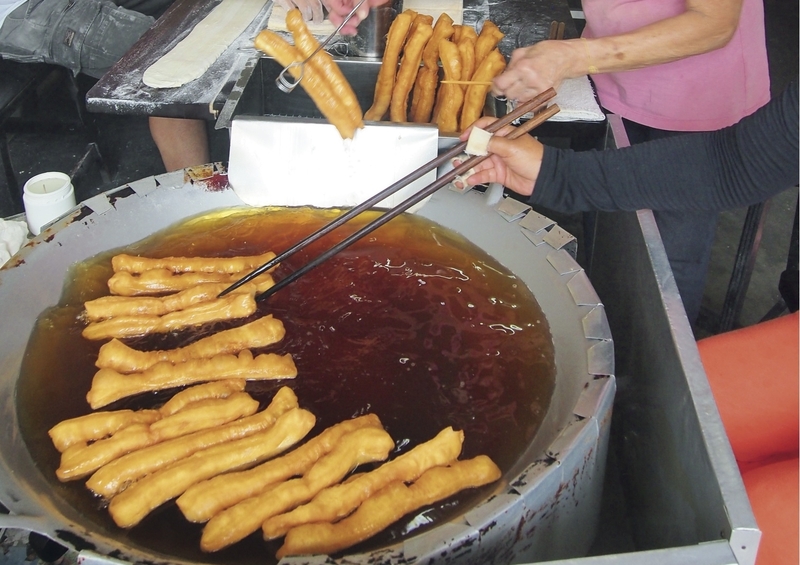 Service may be unreceptive but fried dough cures all.